So in literally the last 15 minutes or so I finally did something I’ve been wanting to for ages: buy a shirt of either The Clash or Joe Strummer! The reason its taken so long is because I wanted to wait until I had most (if not all) their official music and DVD releases. Also I love CDs in general: my friends all say by the time I’m 50 I’ll just live in a house made of them. I’ve got about 350 as is at 19 years of age so God knows how much I’ll have then…. I digress though. I’ve also really wanted to support Strummerville – it’s a dream of mine to one day organize an event in support of it. I also ordered some postcards because as of yet I haven’t been able to locate a poster in Belfast – and I haven’t seen any online that’s made me go “wow!”. In any case this is all for charity so its a lot better supporting Strummerville am I right? I’d urge you all to support it actually if you like Joe and The Clash because the T-shirts on there are really nice! I can see myself ordering a few if I’m honest. As I’ve said before I’m turning my family into fans of The Clash and Joe so I can see my house sporting a few Strummerville shirts. I’m not sure when exactly it’ll be here but as it’s being delivered first class I can’t imagine it’ll be too long. Next week I’m also ordering the US version of The Clash and the remastered edition of Rock Art & The X-Ray Style which is the only album of Joe Strummer & The Mescaleros that I’m missing. So in two weeks time when it’s all here I’ll finally take that picture of my ever growing collection of The Clash & Joe Strummer that I’ve been promising I’d do for weeks. And who knows, if the new skincare programme I start tomorrow (I’ve got very bad psorasis) works as well as it should you might even see a picture of me actually in my shirt! Plenty of posts coming up in the meantime though so stay tuned and thanks for reading! To see the Strummerville shop click here! Pet Shop Boys – Fluorescent teaser (and first Electric review). So, last night on the Pet Shop Boys website a somewhat cryptic Pet Text that – along with a new Electric style graphic – teased something would be happening very soon. New single announcement? Album stream? Speculation was rife. Their official website has now been updated with links to two things: both of which should be of interest to fans. First of all, there’s the first review courtesy of The Quietus. It’s track by track and it’s left me more intrigued about the album than ever (not to mention excited because it’s a favourable review). No doubt the confirmation that the album is a ballad free zone will only increase fan excitement. I must include myself in that sector of fans actually. When you consider three out of their four last studio albums have been Release, Fundamental and Elysium I did feel they needed to release a more dancefloor oriented album pretty soon. I just hope I take to the album more than I’ve taken to Daft Punk’s new album – even on replays that album is just not gelling with me. I’ve no doubt I will though because I’ve loved what I’ve heard from the album so far. Well honesty Fluorescent isn’t exciting me quite as much as the live versions of Love Is A Bourgeois Construct and Vocal have (not forgetting the studio version of Axis) but I did listen to the snippet when I was half awake and at low volume. No doubt I’ll like it more when I relisten later – and it is just a snippet after all. And I do like it as is already. In any case I’m a bit confused as to if/when there’s going to be a single announcement – I hope we get more news on that soon because July is now just around the corner (where is this year going?). Anyway – I’ll be show to post on any news that comes to light! Evening everyone, I had originally written this post last night but internet difficulties prevented me from publishing it until now. Oh well – its not a big thing, just something very cool that happened. Well, as you all know by now I am a massive fan of The Clash and of Joe Strummer. Love the band, love the man. And I miss him terribly to boot. What just happened is largely insignificant I guess, but for me I really loved it. I was reading up some more information about The Clash’s upcoming Soundsystem boxset and The Clash Hits Back compilation. The Art Show – which is a local programme all about the arts (could you guess?) was on in the background. I wasn’t really following it, but the guest was talking about the future of Northern Ireland. He spoke the words “Like Joe Strummer once said, the future is unwritten”. I was taken aback, but also incredibly happy. Most likely because Joe died when I was a little girl and I’ve only became a fan of The Clash last year meaning that there’s never going to be any news or new quotes from Joe himself. I’m going to admit to something very personal here: I used to be very upset about that when I became a fan initially last year. A great man died too young. You know, honestly there’s little in this world I would love more than the chance to see The Clash live, or dare I say even meet Joe. Not that I would be able to speak if I ever had met him though: most likely I’d just thank him and either profusely shake or cry (or probably both). Too much over reaction? Perhaps – but I simply cannot deny the unbelievable influence The Clash and Joe have had on me since I became a fan. He is quite simply one of the biggest inspirations in my life, sometimes all I need to do is remember a line from The Clash or a quote of Joe and suddenly I have a brighter perspective on things. It’s powerful the influence music can have on you. Not that Joe would ever want someone to be miserable about his death though. I think the ultimate way to remember him is to put his lyrics into action – make a positive change as opposed to mourn his passing. Meeting Joe? One of the biggest wishes of my life, but it’s sadly impossible. I can’t change that (and believe me I wish he were here still) but what I can – and that means so can you – is the world. As Joe himself once said. I’m blathering on now but I simply loved hearing someone local quote him on TV. It’s a lovely bit of proof – coupled along with the Joe Strummer themed rooms at the Oh Yeah music center in town – that even though he’s physically gone, his spirit willl never die. So last night I wanted to listen to some electronic music, preferiarably in a live context. I couldn’t make my mind up what to watch, I had considered performances by a host of artists before deciding on fairly recent sets by New Order and Foster The People. Anyhow – the first I watched was New Order in Berlin last year. It’s a recording of a concert which Electronic Beats hosted (the same company that was responsible for Pet Shop Boys Elysium launch concert in Berlin). The concert itself took place on June 24th at the Tempodrom in Berlin. Much like the Pet Shop Boys Elysium launch show, it was a brief performance – 44 minutes in all. It was however 44 minutes of pure brilliance, just as I was expecting. I had streamed two of their festival appearances live last year and I feel that New Order have never been better as a live act so expectations for this were very high. I was actually due to attend their Belfast show here (they were headlining a festival) last year but unfortunately the whole festival was cancelled. Anyhow back to Berlin – as usual, they delivered. 586 in particular is positively blistering in these new performances – I’m so pleased they unearthed that criminally overlooked track. Interestingly they also performed Joy Division’s classic Transmission – which I know they’ve done before – but I can’t recall them performing that at either of the two festivals I streamed. As usual they ended the show with the ever anthemic Love Will Tear Us Apart. I did find it interesting they didn’t perform Bizzare Love Triangle considering it’s one of their most popular songs, but to be honest it doesn’t hurt to rest the classics from time to time. It was another stellar performance though that just makes me that little bit more desperate to make it to one of their shows! The other performance I watched was Foster The People’s set at last years Reading & Leeds festival. This was actually my first experience watching a Foster The People live show, which is shocking really because I’ve had their Torches CD for at least a year and I love it, its a fantastic album. I have heard very high praise about their live performances also so once again my expectations were very high. I have to admit they blew me away! Mark Foster is a brilliant front-man – totally comfortable on stage but yet vibrant and full of energy. Not only that, but his vocals were fantastic. He sounded just as great as he did on the record. The rest of the band were on top form musically too. Sadly though, this wasn’t the complete set they performed. I watched the BBC broadcast which (as usual) omitted three songs. These being Waste, Houdini and Call It What You Want. I was disappointed that it wasn’t the full set as Call It What You Want is probably my favourite Foster The People song and Houdini would be up there too. Although every cloud has a silver lining and they did show their spellbinding performance of Broken Jaw. If the name doesn’t sound familiar it’s because it was a bonus track that wasn’t included on Torches. I haven’t the foggiest notion why though because it’s a terrific song, it’s now become another one of my favourites thanks to this great performance. The only other downside for me – which isn’t to do with the band itself – was the crowd. About three or four songs in the crowd began chanting for their chart smash Pumped Up Kicks. They didn’t seem to care two figs about the other songs which I think is a bit of a joke in all honesty. It’s very hipster-esque and not only that – I don’t feel Pumped Up Kicks is close to their best song. Yes, it is a great song but to simply want to hear that song and nothing else does a disservice to the very considerable talents of Foster The People. It would actually be one of my least favourites on Torches (and no I’m not saying that because its their biggest hit). Nevertheless this is another excellent performance that is well worth checking out: although I want to find a full uncut broadcast if possible! So, all in all a very good way to spend around an hour and twenty minutes of my time. I’m not sure what I’ll watch tonight: I’m considering the new performance of Pet Shop Boys in Argentina that’s just been uploaded and maybe a recording of Depeche Mode on their Singles Tour from Cologne. Then again, I also need to get stuck back into the first season of Dexter. If I do watch anything though I’ll be sure to share it here! Song of The Week: Simon & Garfunkel – For Emily, Whenever I May Find Her (Live). So, here we are folks. I’ve actually been able to make a post on my sound of the week this week! As I’ve mentioned in a previous post I’ve been busy these past few weeks, so my apologies for not being able to share with you all my sound of the week these past few weeks. So now we’ve got that out of the way, time for my song of the week. This probably won’t come as any surprise to those of you who regular read my posts: I had mentioned in a previous post that I’d been listening to the back catalogue of Simon & Garfunkel this week non stop. I’ve heard all their albums now and I’ve really liked them all, particularly Bridge Over Troubled Water and Parsley, Sage, Rosemary & Thyme. I first began my investigation of their work after listening to the copy of their Greatest Hits CD that I – by some good fortune – had ended up with a free copy of a few months ago. The second track on that album is a live recording of a song called For Emily, Whenever I May Find Her. I listened to it, and I was blown away; mainly thanks to Art Garfunkel’s delivery of what is frankly, some of the most beautiful song lyrics I’ve ever heard. No joke – his voice literally made me weep at the crescendo ending. Seriously, I lay in bed with shivers soaking my spine and tears in my eyes. What an image, eh? And this is coming from someone who doesn’t view vocals as the be all and end all. Sure, I love a good vocal performance but its one aspect of a song for me. Anyhow, I had liked what I knew of Simon & Garfunkel (which admittedly wasn’t a lot) prior to this; but that live recording was what really demonstrated to me just how good they were. Once the song had finished my first thought was “Bloody hell; he can sing!“. So – a live video of For Emily, Whenever I May Find Her is the feature of this post. I’ve been listening to Paul Simon’s solo work (thanks to my Dad introducing me to him) since the age of about 15, so I had never really experienced how good Art’s voice was. Although my Dad did used to tell me to listen to them too because of his voice (he saw them live actually, not jealous at all). Truth be told I was always dubious because I’d have to say folk music is one of my least favorite genres. Now, my only regret? Not listening to them sooner! I honestly think they’ve joined the ranks of my all time favorite artists. It’s early days yet I know, but in a few weeks I really do think I’ll purchase their The Collection boxset. It’s their five studio albums plus a DVD of their reunion concert at Central Park in New York (which I’ve seen some clips of and it looks brilliant) – all for £12! Seriously, that’s a gem of a price if ever I’ve seen it! Just watch the video though – its mesmerizing music. Sublime stuff from a sublime group really. The Ramones – It’s Alive! A post I forgot to make earlier in the week, oh well. Anyhow – I’m still investigating The Ramones so I’m not very knowledgeable about the history of band when it comes to landmark performances and such (not yet at least). As far as I’m aware though this performance, which took place at London’s Rainbow Theatre in 1977 on New Year’s Eve (what happens at midnight is unbelievably cool I think) – is regarded as a key Ramones performance. Not only that but it’s also regarded as one of the finest to take place at the Rainbow Theatre. It was released in 1979 as their first live album under the title It’s Alive! You can also find the video footage on a DVD compiling live Ramones footage that’s called It’s Alive 1974-1996. Bare in mind though that the DVD doesn’t contain the full show – it has about half of it I think – but the CD version does. I haven’t got the DVD yet (although I plan to soon) but when I saw the video footage I was blown away by the performance so much so that I went straight on Amazon and ordered the CD for a very reasonable price. The first thing that struck me very quickly – before we even come to the fact it’s a stellar performance – is the quality in terms of picture. Seriously, this was shot in 1977 and there’s precious little video footage of punk that exists in such high quality from that era. The only other thing that I’ve ever seen that rivals it for picture quality (and musical performance really) is the live footage of The Clash in their Rude Boy film. The picture quality is so good it almost makes up for the fact it’s sadly only half of the show roughly. A real shame because The Ramones are phenomenal to watch: such ferocious live energy. It’s the first proper live footage of the group I’ve seen, not counting the inevitable live snippets that could be found in the End Of A Century documentary (highly recommended and yet another DVD I need to purchase). Anyhow I’ll stop blathering now, but I can’t recommend this video highly enough if you have any interest in punk, The Ramones or simply a killer live band! The only person not feeling Random Access Memories? Afternoon all, it’s relatively early in the afternoon here in Northern Ireland but judging by that grey and dank sky out there. I wouldn’t be suprised if there’s a downpour in the next few hours or so. Anyhow, that minor detail out of the way let’s move onto the topic that I wish to share with you. 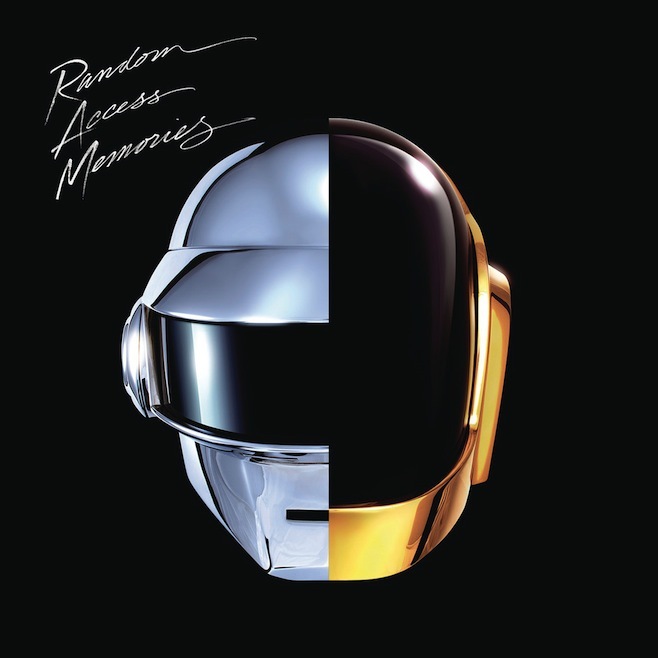 So, the big album of the moment is Daft Punk’s new offering Random Access Memories. Everyone seems to be raving about it… except for me. Honestly, I wanted to love this album, I swear. I really love Get Lucky and I’ve really liked all of Daft Punk’s prior albums so my expectations for this album were absolutely through the roof. It’s not that I think the album is poor as such… I’m just really struggling to get into it. I have to give credit where credit is due for it though: it’s certainly a creative album. Very creative by anyone’s standards and such creativity is only highlighted considering a lot of electronic music for the last number of years has been stale and uninspiring to say the least. In saying that like I said earlier I’m struggling to get into a lot of the tracks. For me, I have to admire a song like Giorgio Moroder but I’d be lying if I said I enjoyed it. It’s borderline self-indulgent to me. I have to say I love Touch though, and the album is growing on me very slowly. I think my main problem with the album is that it’s a rather long record (around seventy minutes) but I don’t feel it has an awful lot of wow moments for an album that length. Maybe it’s the sort of album best enjoyed as a collective piece though. I can see myself enjoying the album in a certain mood: like if I wanted to to listen to some chilled music on a Friday night as opposed to an album packed with dancefloor fillers. Having said that I’ve felt that Daft Punk’s previous three albums have balanced relaxing and danceable music very well, so I think I would always play one of them quicker than I would play Random Access Memories. Never say never though, I disliked what is now my favourite Pet Shop Boys album for a straight year! Evening all, its slightly late here over in UK but I decided it was time I knuckled down and wrote an actual post as opposed to yet another update. I’ve been busy here this past week: buying an iPad Mini no less (wonderful machine) and treating myself to some new CDs in the process, namely M.I.A’s Kala album and the Ramones live album It’s Alive. I’ve also heard Daft Punk’s new Random Access Memories and truth be told I don’t think its as good as everyone says it is, but that’s for another post . In terms of what’s been dominating my listening the past few days I’ve been having a serious love affair with the back catalogue of Simon & Garfunkel, an amazing group (and I’m not even a folk fan by any means). I really like Paul Simon as a solo artist, so I decided it was time to investigate where it all started. In all honesty, Art Garfunkel is now one of my all time favourite vocalists – the phrase “voice of an angel” may be branded about too much – but in his case I feel its certainly applicable. The scary part? I’m singing their praises already and I haven’t even heard all of their albums yet. A new addition to the all time favourites list perhaps! Anyhow – the big story for me these past few days has been the announcement of the long awaited boxset of The Clash, entitled Sound System. 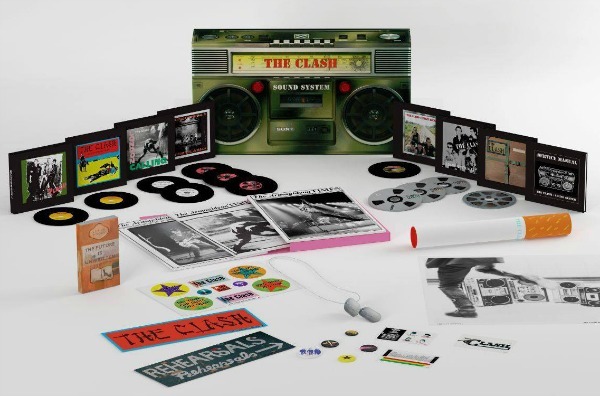 I love special editions, boxsets and all that fancy stuff so I had high hopes for this – I have to say it looks tremendous (the art for the boxset is done by Paul Simonon). It consists of their five albums remastered (omitting Cut The Crap) including an extra disc of their various non album singles. There’s also rarities/unreleased tracks and a DVD to boot which I love. One of my favourite Clash songs is The Beautiful People Are Ugly Too and I was ecstatic to discover this much underrated track is finally going to get an official release. As is standard with such a boxset there’s also merchandise galore: stickers, a poster and badges to name some of it. All stuff I will treasure because being 19 I missed out on a lot of merchandise and Belfast doesn’t stock much in the way of Clash material at all, believe me. The real gem for me though merchandise wise though is the reprinted copies of the Armagideon Times fanzines that will be in it (along with a new edition). Again, I missed out on these being born years after they broke up. I love fanzines and the like so this shall be a real treat. The boxset comes out on September 9th here in UK, it’s pricey at £110 but the group have made such an impact on me this past year that I really can’t wait to buy the boxset. In fact, there’s a chance my family might be buying two copies because one of them has turned into a big fan also (thanks to my constant playing). 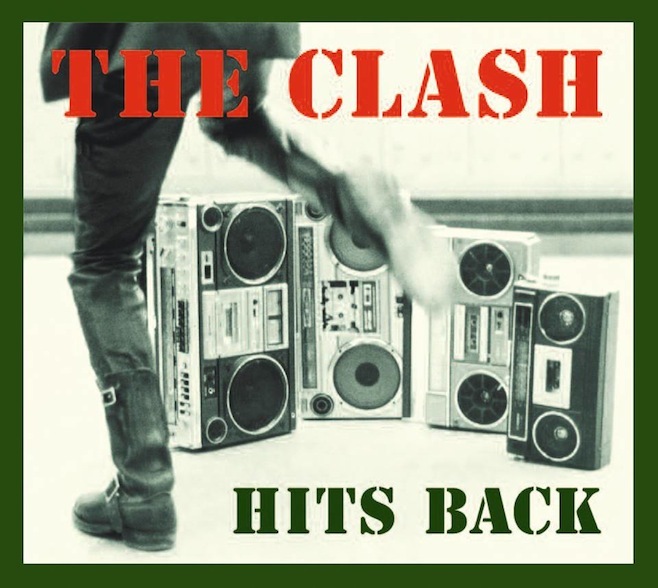 Now I have that off my chest, its not even the only Clash release that’s been announced: there’s a new compilation coming called The Clash Hits Back (I love that title). I already have all their albums and even their singles boxset, so truth be told I’m indifferent to a compilation coming out but I have to admit the track listing isn’t far off my personal ideal one in all honesty. It’s been a busy month for me in my Clash fandom really, particularly on the purchasing front. I’ve ended up with two copies of their official book (see a previous post), the two disc edition of Rude Boy on DVD not to mention receiving their singles boxset as a 19th birthday present. It doesn’t stop there, if all goes to plan I’m getting the US edition of The Clash next week along with my first Joe Strummer T-shirt, which I’m really excited about as the T-shirt comes from the Strummerville charity. When all of that arrives (give it two weeks), I’ll be sure to do a post on my Clash collection. Long winded post I know, but there’s just been so much lately, its crazy! I will try and write a post on Daft Punk’s new album (well initial thoughts) at least tomorrow. Hopefully I’ll be able to do that along with sharing some musical gems I’ve found. Until then I’m going to unwind now, listen to more Simon & Garfunkel and start the latest season of Big Bang Theory. Adios for now! Wow, it doesn’t feel like it’s been over a week since I last posted on here! I’ve had a busy week of it doing different bits and pieces. I’ve not been able to listen to that many albums the last week even. The free time I have had I’ve spent it watching films, watching Walking Dead (incredible show) or trying to finish the biography I’ve currently been reading on Kurt Cobain. I’m going to try and get caught back up (so to speak) starting from today though although I have a busy few weeks coming up, so posting on this blog might be on a slightly less frequent basis for the foreseeable. I won’t be going anywhere though so stay tuned! So, this week I’ve been listening to one artist overall above all else: The Velvet Underground. I first heard some tracks from The Velvet Underground & Nico a few months ago and I didn’t know what to make of it. Much like Hounds of Love by Kate Bush it was a challenging listen on first play, but there was a mystique about the music that made me want to explore it further. I guess that was Lou Reed’s voice initially; I’ve heard his Transformer album and I think its a great album. A few weeks ago my interested in Velvet Underground restarted when I heard the track Rock and Roll (I’m actually listening to it now as I type this post). It was a brilliant and addictive song and I decided to get their greatest hits; which I fortunately found last week at the record fair. I’ve been playing it non stop all week! With the exception of I Heard Her Call My Name I love every song on it already. My favourites being Herion, Rock and Roll, I’m Beginning To See The Light and Some Kinda Love. It’s just a brilliant listen. I’ve managed to listen to two of their albums so far too, these being The Velvet Underground and The Velvet Underground & Nico. 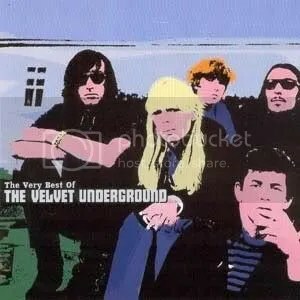 I’ve really enjoyed both so much too, I’ve got a strong feeling The Velvet Underground are going to become one of my all time favourite bands! Honourable mention: I also this week finally listened to my copy of Nirvana’s live album From The Muddy Banks of The Wishkah. A brilliant album and this is coming from someone who doesn’t tend to listen to live albums so often. There’s so much energy in the performances compiled on the CD though, absolutely brilliant and I prefer that version of Smells Like Teen Spirit to the studio version. For new albums I’ve heard the best one this week has to be Little Boot’s brilliant second offering, called Nocturnes and scheduled for release tomorrow. Check it out electronic/synthpop fans! In terms of re listens, I also played Madonna’s Music album. 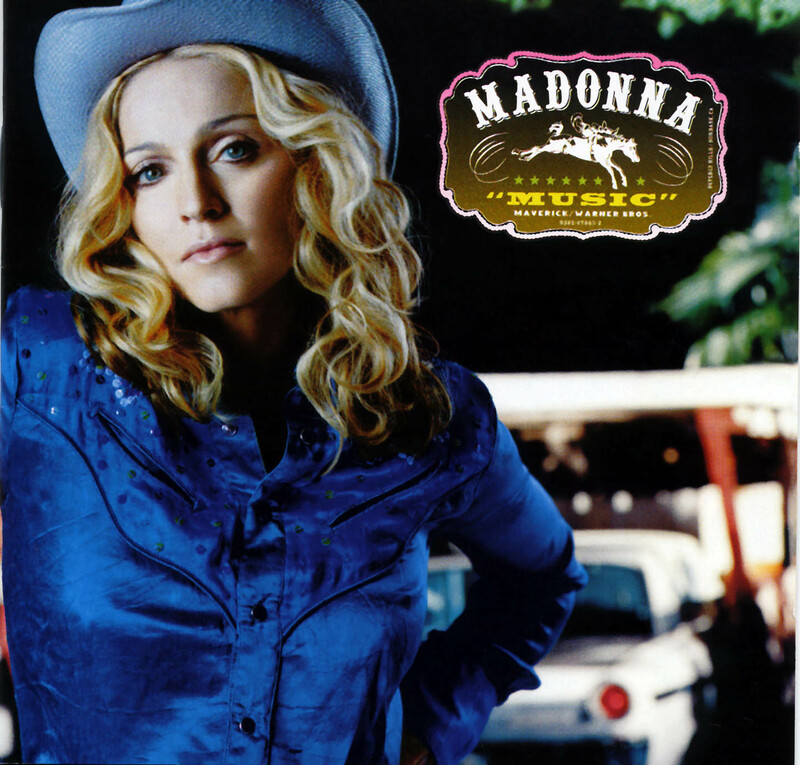 This was always one of my least favourite Madonna albums… until now. I’m not even sure why it was one of my least favorite Madonna albums really. I think its because the album does have a weird schizophrenic electronic acoustic hybrid. Truth be told I’m no great lover of acoustic style material: albums in this vein tend to always be my lesser played albums of artists even if I’d consider the artist an all time favorite. That said, I love how there’s a variety of electronic sounds to be heard on Music: Electropop on the title track, slightly trance sounds on Runaway Girl and triphop on What It Feels Like For A Girl. The latter two tracks in particular I have a new found love for. Its definitely becoming one of my favorite Madonna albums now! Leave a comment Posted in Madonna, The Velvet Underground.